Given that the previous topic is now at 41 pages, and some of the early examples in that topic give a misleading representation of the level of detail we expect using the below checklist and the since-updated examples on the Moves page, I believe it is prudent to start a new topic. Another helpful thread for moves is the Move Creation Workshop. Consider going there before trying to get your moves approved. Quote: Don't just say "it's an energy ball". Say "it's a weak energy ball which can be used while moving". Let the reader know what it looks like, so they can write it out accurately. So "it's a weak, purple-hued energy ball which can be fired from the palm of the hand while moving". This is still pretty basic, but hopefully you get the idea. The more detail the better (though we don't necessarily need to know the story of how your character trained under robotic monks for twelve years to learn it; that's for your character history). Here's an example list of things you should consider when writing a move. If you think one of these things is relevant to the move, and not obvious (we know swords can be used to swing and stab, and we know most guns can be shot while moving) then include the answer as part of your move description. It saves the staff a lot of time unnecessarily asking these same questions, and saves you from having to answer them. • How powerful is it? Does it have a wide area of effect, or multiple projectiles? How big is the weapon? What size are the projectiles? • Is it difficult to aim? Must it be aimed at all? • Can the user move around or do other things while using the move, or must they be stationary? • Does the user have to keep their focus on the move, or is it 'fire and forget'? • Does it have effects that linger after the user is no longer performing the move? If so, how long do they last? • What does it look like? How is it performed? How does it feel to get hit with it? • Is the move variable, or does it have a fixed method of use? When describing how long effects linger we prefer to use literal timescales rather than "lasts x posts" or "lasts x rounds" because depending on writing style and word count, a single post might last thirty seconds in IC time, or several minutes. When describing how powerful a move is, try not to use wording like "cuts through skin" or "breaks bones". This is because the damage of an attack may vary depending on your current transformed state, and your opponent's DEF stat in relation to your ATK. It's best to leave this somewhat vague. Include which powers/proficiencies you think it needs and what price you think it merits (either 300 for a simple move or 600/900/1200 etc for variable moves). Quote: Is it melee-based? If so, you'll need the Physical Strength proficiency. Does it attack at range? If yes, you'll need the Ranged Proficiency. Is the target area big enough to hit more than one target? Can it miss and still do damage from 'splash' damage? If yes, you'll need the Area Attack Proficiency. Is it a shield which covers an entire person, or larger still? If so, you'll need the Area Shield Proficiency. Can it be manually controlled by the user at range, like an appendage made out of an element? If yes, you'll need the Remote Control Proficiency. Can it be manifested at range, like a wall of sand or a pillar of flame? If yes, you'll need the Ranged Materialize Proficiency. Can it home in on an opponent without needing to be aimed? If yes, you'll need the Homing Proficiency. Can it boost an ally's fighting abilities in some way? If yes, you'll need the Buff Proficiency. Does it inflict lingering negative 'debuffs' on opponents, for example by slowing speed or interfering with their senses? If yes, you'll need the Debuff Proficiency. The most moves you can get approved in advance is 5. This is so people don't just dump huge piles of moves to get priced and fixed up, creating lots of work for staff. If you want to get more moves approved, purchase some of the ones you already got approved. Staff may approve extra stuff for you, but have the right to refuse until you purchase moves. Lubbock forms a sword formed out of his wires, giving him a more face-to-face approach to combat rather than stealth. The sword is four feet long and eight inches wide. The sword cuts like a normal sword, easily slicing through flesh and bone, but usually not armour. It takes him around three seconds to form the sword, due to its structure. Lubbock weaves a shield, three feet in diameter, around himself, protecting his body from most attacks. However, attacks like utilising sharp objects, for example sniper bullets and rapier strikes, could easily pass into the shield. It takes him around five seconds to get the shield up, but only around two to three to take it down. Extending his hand, Galel focuses his psychic power to tear a miniscule hole in the veil between reality and the warp. Chaotic energies pour through in the form of incandescent flames of all colours. To bystanders, it appears as if a small explosion of colour and heat has occured. In actuality, the energies of the warp tear and twist reality, flaying atoms apart and mutating flesh into disgusting paste-like goo. This move fills a 10 foot sphere with roiling chaotic flames that persist for roughly one second. Anything caught in the blast will be warped by the energies of chaos, mutating the weak into twisted abominable reflections of their former selves and devastating the strong with sorcerous warp-flame. It takes a relatively long time to cast this sorcery, forcing Galel to remain stationary for several seconds while he gathers the psychic power needed to execute the spell. Using the Psychic discipline of Biomancy, Galel can manipulate his own body to produce a massive excess of bio-electric current. He can then project this electricity outwards with his mind, causing it to leap to the first large source of electrical charge it can find. A clever opponent could hide behind a suitably powerful electrical current and avoid being hit at all by the lightning. This attack can be performed in two ways: A quick burst, or a sustained barrage. When done in a quick burst, it takes only a moment for Galel to build up enough charge, and the lightning arcs from his fingertips to his foe in an instant. This can cause superficial burns and minor nerve damage, making it more difficult to move limbs with precision. As a sustained Barrage, this attack is much more powerful. Taking several seconds to build up enough bio-electric charge, a sustained Barrage can last as long as six seconds of continued electrocution, potentially causing heavy electrical burns all over the body and moderate damage to the nervous system. A quick burst does not fatigue Galel unless used many times in quick succession, but a sustained barrage will quickly cause Galel to become exhausted. Edits are in italics and underlined. EDIT: Fixed a couple typos. An accurate medium to long range assault rifle manufactured specifically for force sensitive commando units who needed a ranged weapon to substitute for their melee weapon of choice. This model is capable of only producing a three round burst of blue colored energy. It comes stock with a holographic dot sight mounted to the top, an extended rifle stock, and muzzle flash dampener. The energy cell manufactured for the rifle holds enough power for 60 rounds making it capable of being fired 20 times before needing to be reloaded. The weapon's clip is a cylinder shaped energy pack located just in front of the trigger assembly. Removing the clip is as easy as just pulling it down and away from the weapon. When the energy pack is empty a red light will illuminate on the side of the cartridge. When a new energy pack is loaded into place the clip rotates clockwise immediately to cycle the battery cells and do a self check. After two rapid rotations the weapon is ready to fire again. The M5A1 uses a collapsible drum energy pack designed by WESTAR for the Imperial Legion. The battery pack is manufactured in a compact state and is only to be opened when it is time to reload. By pressing a small button in the center of the battery pack it is expanded to full size immediately and ready to be used in the firearm. The compact size allows spares to be carried in tactical vests and assault kits alike. A bargain at 300 om. I had this move kind of cleared by Luffy a little while ago, but I thought I'd re-submit it since it required a bit of downsizing and meticulous nerfing to make it less OP. It's more of a custom power for RP fodder than anything else. Thanks to prevalent Stark genes as well as descendantary from the First Men, Jon has inherent access to the abilities of a Warg. He can enter the minds, bodies and consciousness of other mammals (expect other humans - takes a lot of training, practice and mastery to reach that level) such as birds, wolves and stags and can take control of them. This ability comes with a number of drawbacks, however. Jon has to be standing completely still and motionless to "warg into" another being, for starters. And when he does, he's essentially just body-swapping, so his human body is left pretty defenceless and open. Dying whilst warging is also a horrifyingly traumatic experience for the warg. Whilst his mind survives and quickly snaps back to the human body, the effects and trauma of a near-death experience can still be felt. Probably the greatest drawback of Warging would be the fact that amount of time Jon spends in another creatures mind and body is quite limited; an animal simply isn't sophisticated enough to hold a human brain and consciousness within it. If Jon spends too long in a Warging state, his mind will eventually begin to wither and forget, and he'd essentially "become the animal", unable to warg back out of it and losing full-control over his body and actions. Since I have a ton of OM gained up after all them posts I've been making, I guess I'll buff Shay some more! Somewhat similar to Shay's Rope Darts, his Throwing Knives are a popular Assassin tool, mainly used for stealth approaches. With this weapon, Shay can quickly throw off a small blade at about 20 meters away from him. With weaker Secondaries, a well-placed hit could easily kill in one shot, although with Primes, especially those with higher DEF. statistics, this will barely do more than stop them in their place for a second or two. Being a part-time whaler, Shay was quite skilled with a throwing Harpoon in his time. Improvising, Shay can use this Harpoon as a throwing spear that reaches about 30 meters away, or use it as a basic long-range polearm. If a throw is landed, it can generally kill weak Secondaries in one hit, and definitely cripple Primes, at least for a short while. Although slower than his Sword and Dagger combination, as previously said, it has a much longer range, and a slight intimidation factor when you start swinging it around. A nice option for harder to hit targets, or if Shay wants to keep his distance. Stolen as a package for Templar Lawrence Washington from a British ship, the single-shot air rifle allows for 40 meter distance Sleep darts to be fired, putting them to sleep for 8 seconds by default, although Primes with greater defenses can easily resist this effect entirely. Anybody with a defense statistic with 3 or higher can negate this effect. 2 second reloads must take place before firing off another shot. While aiming, Shay's movement speed is greatly reduced. Attached to his air rifle, Shay can take aim to fire a high explosive grenade with his Grenade Launcher prototype handed to him by Benjamin Franklin. Only able to arc at a distance of 10 meters. Shrapnel grenades are high damaging explosive shots that reach outwards at a 3 meter radius. Shay can load one grenade in the launcher at a time before a 4 second reload needs to take place. Even though this weapon favors dart-based projectiles, that doesn't mean Shay can't use it as your average musket. Putting a simple musket-shot in the chamber, Shay stops in place and takes careful aim for about 3 seconds, before being able to fire off a potentially high-damaging bullet at about 50 meters away. After firing, a 6 second reload must take place. Extremely useful for hitting targets at a distance stealthily or taking out two to four enemies close together. Upgrade Note: Now the rifle itself is able to fire off long-range, single shot musket balls, therefore the added 300 OM, and final pricing of 1200 OM. Seeing as Liam was implied to be one of the Brotherhood's best axe-wielding Assassins at the time, it's no surprise that Shay took inspiration from this. Using a heavy British Naval axe, Shay trades a lot of his movement and swing speed for a heavy amount of potential damage. Well-placed hits can easily kill weaker Secondaries with a simple swing, and with Primes, can pierce through a lot of DEF. statistic points and cause a ton of severe damage, depending on how high such DEF. is, however. "The air is still, and I am a hunter." Omni Wrote: In regards to your other moves, I would recommend rereading the following section of the rules: Pricing Moves. It seems like most of them are variable in terms of being able to charge them up further for increased power/effect. I would make that explicit in the moves if that is the case, or remove the 'minimum'/'at least' wording in the charge times to indicate that it always takes the same amount of time to use these moves. A move taught to her by her once master, Piccolo. Although her way is a little varied, it is still basically the same. The user of the Hakka Soudoushou becomes blurry due to massive amounts of ki raising within his/her body, sending after images in all directions. A black aura surrounds the user, and the beam of ki that emerges becomes rather smoky, and the attack it's self is in the form of a dark dragon wave propelled from the user's palm. Massive damage is dealt to those that have not mastered the technique, practice makes this attack nearly perfect. This move takes at least three minutes to fully charge, and substantially drains her energy while charging and after its use, requiring Violet to rest at least 12 hours after its use, and residual effects of energy loss can last for up to three days. Losing concentration while charging the move or any significant damage can cause the move to fail, and still cause fatigue to her, although less than what it would be if the move was completed. This move is usually reserved as a last resort when other methods are not successful in accomplishing the job. "Losing concentration while charging the move or any significant damage can cause the move to fail, and still cause fatigue to her, although less than what it would be if the move was completed." Essentially, it is all or nothing, but the fatigue effect still happens regardless. The power of the move is unchanged if it is successful, and doesn't fluctuate in its power depending on the time it's charged. The "at least" time is the minimum it takes, considering factors such as her current fatigue or injury (the more tired/injury she is, or the more energy depleted she is, the more time it will take to power the move up). For instance, if she pulls the move right off rip in a fight, it would take about three minutes from the time she starts the attack to the point of its release, since she hasn't had much of a chance to get tired. If she's been fighting for a wee bit and (as fighters naturally do) runs out of energy, it'll take a bit longer for her to be able to call on that reserve energy within her in order to execute the attack. The force of the attack remains the same, and cannot become more powerful, regardless of how long she takes to execute it. That's the best way I can see to balance the move. I feel a static amount of time regardless of her fatigue is unrealistic for this particular attack since it is a "last ditch" move and thus, more demanding on the user. Because of that, it would have to be decided whether the time it takes to use it is worth it instead of just popping it out regardless of how tired she is. Make sense? Violet crosses her arms over her chest, and a drape of energy surrounds her. She then submerses herself in a dreamlike state, eyes hazing over into a eerie reddish glow, and reaches out with an translucent roil of ki, grasping hold of opponent(s) and shocking them with the invisible hands of energy. This attack takes at minimum 30 seconds to charge (longer if targets are further away), and usually causes some temporary disorientation after it is used. Takes at least five minutes to recharge before it can be used again. If Violet can actually manually control the 'roil' of ki then you would need Remote Control Proficiency. Otherwise Homing would do just fine. If you could go into some detail into what the 'roil' (I looked this up and can't find what it means other than the verb 'to roil') those in terms of how it moves, how fast it moves and how it looks unless it's completely transparent, that would be appreciated. Sorry, roil = coil. At the time I made the original move, I saw "roil" as meaning the same or similar to coil, and liked the word enough to work it into the description without bothering to look up the actual definition. That's laziness on my part. Violet crosses her arms over her chest, and a drape of energy surrounds her. She then submerses herself in a dreamlike state, eyes hazing over into a eerie reddish glow, and reaches out with a black translucent coil of smoky ki, grasping hold of opponent(s) and shocking them with the invisible hands of energy. The coil(s) crawl along the ground rather quickly (think of flowing water or really thick smoke).This attack takes at minimum 30 seconds to charge (longer if targets are further away/multiple targets), and usually causes some temporary disorientation to the user after it is used. Takes at least five minutes to recharge before it can be used again. Transcendence (Tier 1 Super Move): Mickey creates an anti-gravity field around him, lifting up any opponent within ten feet of him and trapping them there as long as he can hold it. The field is destroyed when a) Mickey runs out of energy to hold it up or b) an opponent overpowers him, which as he becomes more tired is progressively more easy to do. Omni/anyone, is this enough for a super move to do? It's stumping me because it just doesn't feel very... super. Jon Snow Wrote: I had this move kind of cleared by Luffy a little while ago, but I thought I'd re-submit it since it required a bit of downsizing and meticulous nerfing to make it less OP. It's more of a custom power for RP fodder than anything else. War Axe-Take out the last part and you'll be fine and approved. By drawing upon the evil that lies at the heart of all beings, Ganondorf can draw it forth and will it into a sinister copy of his foe. This "Dark" version has all of the targets Moves, Proficiencies, and Powers, as well as a shadowy version of their mind and personality. However, it typically isn't as strong as the source, nor is it very durable. Still, fighting something which is technically yourself isn't an easy thing for anyone to do. Quote: Transcendence (Tier 1 Super Move): Mickey creates an anti-gravity field around him, lifting up any opponent within ten feet of him and trapping them there as long as he can hold it. The field is destroyed when a) Mickey runs out of energy to hold it up or b) an opponent overpowers him, which as he becomes more tired is progressively more easy to do. Omni/anyone, is this enough for a super move to do? It's stumping me because it just doesn't feel very… super. The Crash Magic user is at it again, this powerful spell is used on the most formidable of foes. Gildarts charges the power in his fist so that it visibly contorts with light, and launches it at his enemy. The fist is weighed with a heavy amount of magic, so much so that it crackles with static in the air around it. Though Gildarts uses "Crash" magic, he is able to harness the raw destructive power of lightning as it streaks across the air with his very swing. The punch lands and is intended to create a powerful impact in the target, as well as send a ripple of crash magic through their body. Drawbacks: aside from a charge up time of about ten seconds, Gildarts must focus on the enemy and land the blow on a somewhat flat surface for the full shock of the blow to be delivered. When Gildartts misses, it will take him twice as long to charge up again. Somewhat similar to Shay's Rope Darts, his Throwing Knives are a popular Assassin tool, mainly used for stealth approaches. With this weapon, Shay can quickly throw off a small blade at about 20 meters away from him. Much more effective and damaging on unsuspecting targets, although those with higher Def. statistics, this can easily be shrugged off, especially if they see it coming. Being a part-time whaler, Shay was quite skilled with a throwing Harpoon in his time. Improvising, Shay can use this Harpoon as a throwing spear that reaches about 30 meters away, or use it as a basic long-range polearm. If a throw is landed, it can generally cause fatal wounds, at least for a short while, even though a throw is generally very hard to connect. Although slower than his Sword and Dagger combination, as previously said, it has a much longer range, and a slight intimidation factor when you start swinging it around. A nice option for harder to hit targets, or if Shay wants to keep his distance. Stolen as a package for Templar Lawrence Washington from a British ship, the single-shot air rifle allows for 40 meter distance Sleep darts to be fired, putting them to sleep for 8 seconds by default, although Primes with greater defenses can easily resist this effect entirely. Enemies with higher defenses are more able to resist this effect the higher their stat. points are. 2 second reloads must take place before firing off another shot. While aiming, Shay's movement speed is greatly reduced. Attached to his air rifle, Shay can take aim to fire a high explosive grenade with his Grenade Launcher prototype handed to him by Benjamin Franklin. Only able to arc at a distance of 10 meters. Shrapnel grenades are high damaging explosive shots that reach outwards at a 3 meter radius. Shay can load one grenade in the launcher at a time before a 4 second reload needs to take place. Even though this weapon favors dart-based projectiles, that doesn't mean Shay can't use it as your average musket. Putting a simple musket-shot in the chamber, Shay stops in place and takes careful aim for about 3 seconds, before being able to fire off a potentially high-damaging bullet at about 50 meters away. After firing, a 6 second reload must take place. Extremely useful for hitting targets at a distance stealthily or taking out two to four enemies close together. Upgrade Note: Now the rifle itself is able to fire off long-range, single shot musket balls, therefore the added 300 OM, and final pricing of 900 OM and not 1200 because I'm stupid and can't do math. Seeing as Liam was implied to be one of the Brotherhood's best axe-wielding Assassins at the time, it's no surprise that Shay took inspiration from this. Using a heavy British Naval axe, Shay trades a lot of his movement and swing speed for a heavy amount of potential damage. This can pierce through a lot of Def. statistic points and cause a ton of severe damage, depending on how high such Def. is, however. Dr. McNinja does a chant which is suspiciously like the tune to the Ghostbusters theme song. This requires a lot of concentration. He may not move during this span of time. He then becomes imbued with golden energy and strikes at the enemy, hitting them for a lot of damage, and if the attack is successful, stuns them for half a minute. Odd hours. Call for appointment. This would require Debuff Proficiency with the added effect. Simple, sharpened metal throwing weapons used for long-range attacking. Kakashi utilizes hira-shuriken specifically, also known as 'ninja stars' or simply 'throwing stars'. He keeps a large number of these in pouches on his belt and can throw a few of them at a time to inflict damage. Unless they strike bare flesh, they do not do very much damage and even still would require a few of them to hit to do any serious damage. That being said, a large number of them can prove deadly to a defenseless foe. 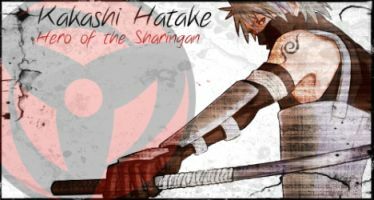 As killing a foe with dozens of shuriken is not often practical, Kakashi typically uses these instead to 'herd' his prey in the direction needed before striking with stronger attacks. Once you actually purchase Debuff Proficiency, sure. Changing one of the Moves I started with in appearance and design, but it's still just a lightsaber based weapon. 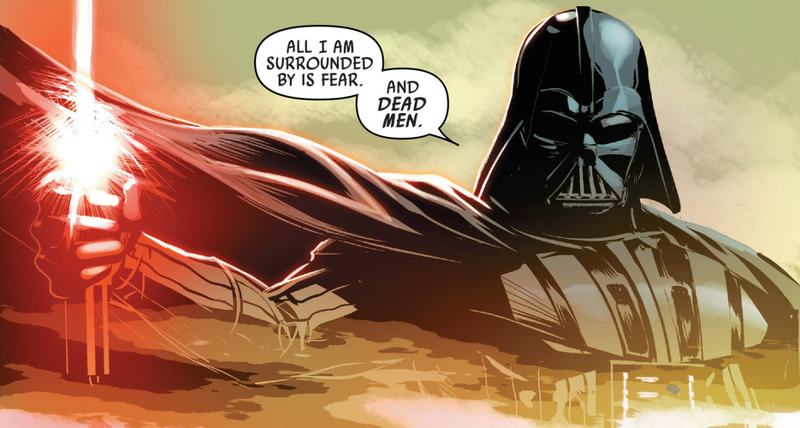 The force saber is a weapon of ancient times. They were the precursor weapons to the light sabers used now. Built to be durable and long lasting the hilt is about 4 inches long and made to be wielded in one hand. The weapon draws from dark side energy and channels it through black laboratory-grown crystals to form a silver blade. The blade functions like that of a light saber; it is made up of pure force energy and is used as a melee weapon as well as a tool. The fully extended blade is about four foot and nine inches long. An ancient incarnation of the lightsaber, the Darksaber is a unique weapon that produces a flat, black-colored blade of plasma. Thin and curved to a point, a shape with more similarities to a metal sword than contemporary lightsabers, the Darksaber's black blade is a meter in length and appears to draw in the very light and color around it like a black hole. This effect left the Darksaber with a faint aura of white light around the edges of its blade, and makes looking at it for an extended period uncomfortable. The hilt of the Darksaber is thin and rectangular, and long enough to be grasped with two hands. It features an angled cross-guard as well as a serrated blade emitter. When the Darksaber's blade is activated by pressing its activation stud, the hum and pitch of the blade is notably higher than contemporary lightsabers, and the blade gives off a sound like a whistle when it was swung through the air. When the Darksaber comes into contact with another object or an opposing lightsaber, the blade screeches, and the white outer aura that surrounds the black core of the blade crackles.